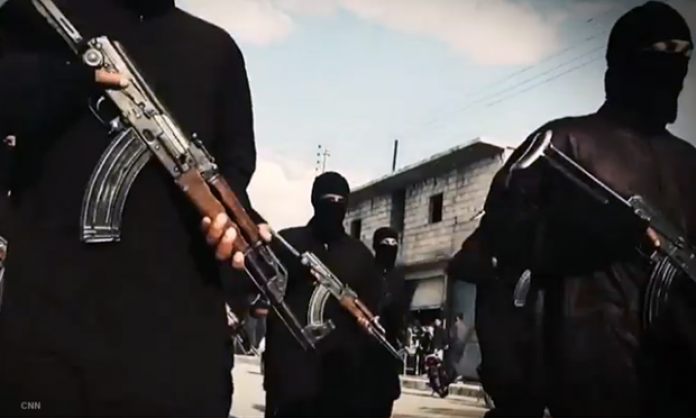 ISIS gunmen staged a mutiny near their de facto capital of Raqqa on Monday killing one of their own senior commanders in northern Syria. Tunisian jihadi Abu Ali al-Tunisi, commander of the military wing of ISIS’ northern Syria branch, was killed by disgruntled jihadi fighters under his charge as the terror group is wracked by internecine fighting, according to Kurdish news reports. According to the reports, Abu Ali al-Tunisi, the commander of the military wing of ISIS’ northern Syria branch, was killed by his former charges, triggering even more widespread dissension within the ranks. The incident was apparently precipitated by growing tension within the military wing over divisions of powers on the ground as well as the distribution of profits. There is also a widening chasm between Syrian fighters and foreign volunteers. The Syrians have grown disenchanted over what they believe to be preferential treatment and perks given to their foreign comrades. The Syrian fighters are also upset over a recent round of promotions in which foreign volunteers were bumped to senior positions at their expense. Al-Tunisi, as his name would indicate, is one of the foreign volunteers placed in a command post. The local gunmen were unhappy when fighters from his homeland of Tunisia were promoted, according to the report.